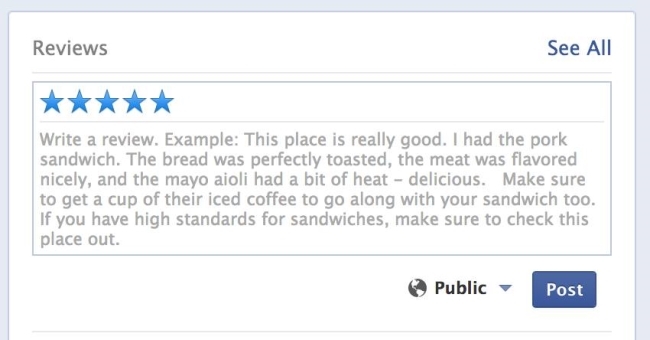 Facebook must really, really want its users to start writing reviews. 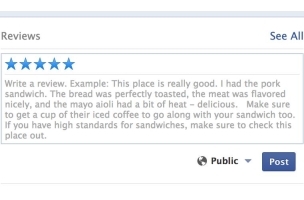 Reader Matteo Gamba shared the screenshot above, in which Facebook offers an example of how to write a review by providing what is basically a full-fledged review. Readers: Have you seen anything similar to this?